Another month starts and another CD arrives from the uber-prolific Geof Whitely Project, an artist who literally has songs pouring out of him and who must commit these to CD and on record. Arny Wheatley (the man behind the project) has to tread a fine line and make sure he doesn’t just release any old song that has popped into his head. They’ve got to appeal to the listener and be well crafted pieces of music. Well, to my ears, he’s been doing an excellent job so far but, as every new album arrives, I do wonder how long he can keep it up? 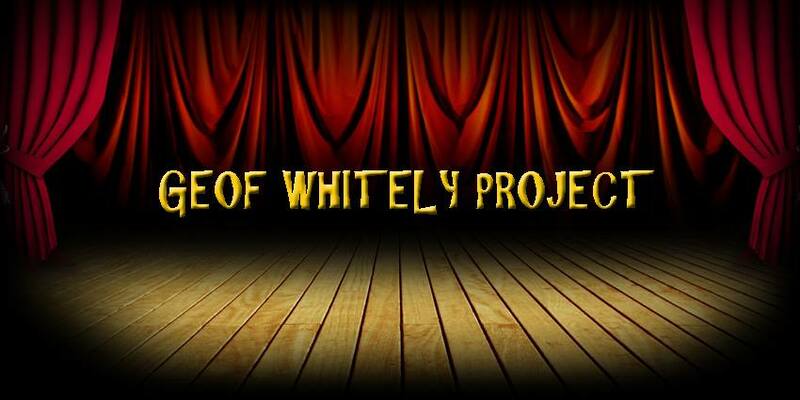 ‘The Geof Whitely Project was formed in 2011, it consists of Geof Whitely and special guest Musicians, the aim of the project is to put out original material in all types of musical formats from Prog Rock-Rock-Pop-Electronic-Instrumental. 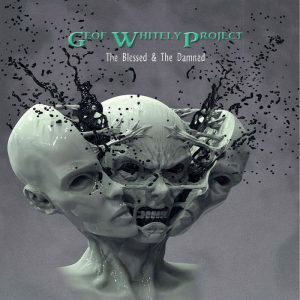 This time it’s ‘The Blessed And The Damned’ that has arrived at Progradar Towers for consideration and it wowed me immediately with the striking artwork, which has always been a feature of any album from the Geof Whitely Project. This new album has a much darker feel which starts with the opening and title track. The Blessed And The Damned has a suspenseful and ominous extended opening before the vocals kick in with a very sinister note. Small rays of light are delivered by the elegant guitar but the excellent synth and insistent drums always give the song a chilling tone. It’s a further departure from that elegant, laid back sound that I’d always associated with the band and I, for one, like the direction Arny is going in. There’s a great, melodramatic guitar solo that adds even more atmosphere and, overall, I’m pretty impressed by what I’ve heard so far. Lucid Dream carries that theme on with quite a chilling intro, a darkly striking, subdued, keyboard note underpins the measured vocal, delivered in an emotional, supernatural tone before the warmth seeps in for the elegant chorus. There’s this Ying and Yang between the harsher edge of the verse and that more affable chorus that runs throughout the song and gives it a certain gravitas. A Music Hall/Circus melody introduces The House Of Spirits but I can’t get away from that sinister overtone, like it’s being played by one of those evil clowns from IT, it works really well though and the chaotic noises that are thrown in just give it a really disorienting feel. The keyboards break through this to give some authority and then the mesmerising instrumental is broken as the vocals break in, quite pressing and persuasive and I end up feeling like I’m in the middle of a musical version of one of Stephen King’s more disturbing novels. 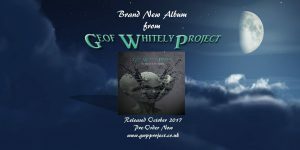 This is some really clever and inventive songwriting and just goes to show how the Geof Whitely Project are progressing as a musical act. Walking Through Time is a perfect title for the next song as I feel I’ve been transported back to the 80’s by that brilliant keyboard/synth sound and the aggressive guitar riff. There’s a sci-fi feel to it all but in a 2001: a Space Odyssey way rather than something more up-to-date. A great piece of music that washes over you, it even leaves me nostalgic for that era and everything it had, good or bad, and that is really original. That 80’s nostalgic tone is present in the the weighty opening to Bird On A Wire, a contemplative and determined track with melancholic vocals and a serious overtone. A pensive and sombre sounding song but one that is well written and meaningful in its delivery. I really like the overall vibe that comes from the track and the added thoughtfulness it engenders. There’s a harder rocking edge to Walk The Line with an up-tempo instrumental opening that has a police siren persistence in the background. The vocals are compelling with a introspective undertone, again I get the feel of the 80’s around this song, albeit in a more soft-rock vein. This is enhanced even more so by the engrossing solo-heavy instrumental mid-section, Arny seems to have become a lot more reflective in his songwriting. A much more expansive sounding intro heralds Utopian Vision, a song with a seemingly bigger musical vista and soundscape. Again that wistful and nostalgic reflection is at the core of the track and it leaves me thinking of sepia tinged memories of times gone by. Were things better in the past or is it just how we remember them? That’s what this song seems to be asking. This is an absorbing song, a retrospective in music and it really touches a nerve with me, I find myself becoming utterly engrossed and that is what great music is all about. The closing track on the album is Awakening and it’s another mature and consuming piece of music with Arny’s sorrow-tinged vocal leading us on another enigmatic and mystical journey. The stylish synths add a classy aura to the song, there’s pathos and poignance in every note and the whole atmosphere is one of sentiment and wondering. 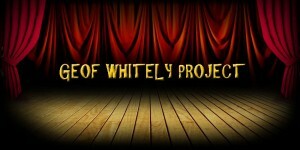 It’s a fantatstic way to close out this latest chapter in the Geof Whitely Project story. Arny deserves a huge amount of kudos and respect for his continuing reinvention of the Geof Whitely Project and this latest album is definitely his best release yet. The lyrics and melody are given equal standing and he’s given the music an extra dose of mystery and drama to make it an utterly absorbing listen. As I write this the Geof Whitely Project’s next album has just arrived so you will definitely be hearing more of this unique artist soon! There is so much new music out there that sometimes I just don’t know where to start. Requests for reviews come in multiples and it is really difficult to keep up with them all. 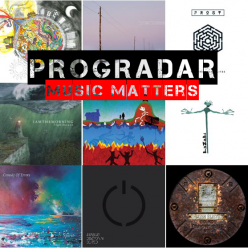 Thankfully the team here at Progradar manage to just about keep up with the plethora of new releases. The issue with this is that some great releases may get missed or forgotten and that would be a crime. Persistence is the key here and my friend Pat Sanders, the keyboardist and main man behind melodic-progressive rock outfit Drifting Sun is the embodiment of the word! He is tireless in his promotion of the band and dedicated to his work. I would have reviewed their latest release ‘Twilight’ anyway but Pat has made sure it is front and centre and I am glad he did! 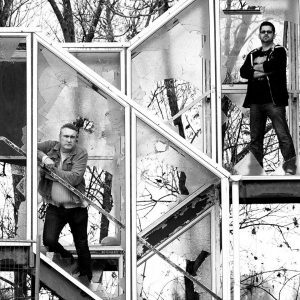 Drifting Sun date back to the early 90’s when Pat moved to the UK from his native France and released their first eponymous album in 1996. 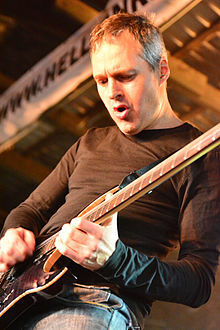 There have been many line-up changes through the band’s history and ‘Twilight’ sees departing guitarist Dan Storey replaced with the virtuoso Mathieu Spaeter, previously of the Franck Carducci band. 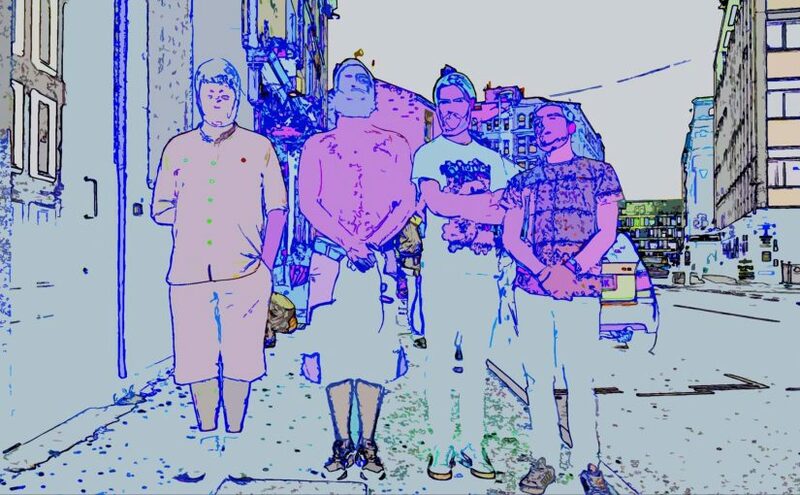 The rest of the band consists of Peter Falconer (vocals), Manu Michael (bass) and Will Jones (drums). I think Drifting Sun evolve and progress with each record they release. 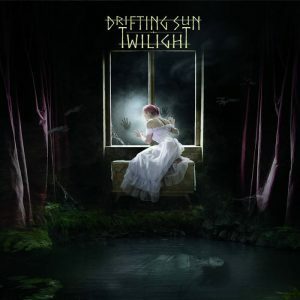 Their roots are in melodic progressive rock and the opening, and title, track Twilight enforces that view perfectly. The sumptuous melodies and vocal harmonies are brilliant and the added dynamic of Mathieu’s fluent guitar playing just adds another layer of class to the music. The solo just makes the hairs on the back of your neck stand up and yet it’s not just about the guitar, the whole band are gifted performers and the music is a joy to behold. Pat’s eloquent keys almost talk to you and the rhythm section is superb. Wings Of Hope is a very emotive song from the first notes of the keyboards and Peter’s voice has a touching timbre to it. It builds in layers of sonic complexity, all the while demanding your attention. The elegant guitar adds a classical touch to this symphonic feeling track. Once the blue touch paper is lit, the tempo rises and this stylish song opens up before you. The band’s music has the ability to move you and stir emotions inside and this track is a typical example with its complex sentiments and lush melodies. The segue into Mystery of Lies gives you a wonderfully restrained and stylish piece of guitar work from Mathieu, one that stirs the soul to leave a lasting impression. The hesitant feel continues with low-key voice over before Peter’s vocal breaks out in a demanding fashion, harmonies abound left, right and centre and Pat’s keyboards keep everything on track. It’s a clever contrast in styles that runs throughout the song. The interplay between guitar and vocals is tender and dignified and the whole song has a warmth and fragile innocence to it. One of the first songs released from the album, Soldiers reinforces the inherent drama that all Drifting Sun songs contain. Well crafted in both lyrics and music, the emotions run raw through this mini-epic. Peter Falconer puts so much into his vocal delivery that you could imagine him treading the boards performing in a musical in the West End and it gives songs like this an edge that other bands don’t have. Mathieu Spaeter overlays this with his expressive guitar work, accompanied by the dancing keyboard fingers of Pat Sanders and it’s all held together by the uber-cool bass and drums of Manu Michael and Will Jones. This all comes together to give maturity to the songs that wasn’t always present before. Summer Skies is a full-blown ten minute-plus epic that enthralls from beginning to end. Mathieu’s slow burning opening keeps you on tenterhooks for what is going to follow. Soft, yet passionate vocals ramp up the tension even more, there’s anticipation evident in every word and every note that is played. The melody around the repeated chorus is very addictive and I find myself humming along, always the sign of a good tune! This is a thoughtful and articulate piece of music where every note has a place and every word is there for a reason, songwriting with the listener in mind. Pat’s graceful piano interlude in the middle of the song is a clever break and the track then builds up to a great outpouring of vocal and musical emotion, backed by the ever expressive guitar. The extended close out just leaves you feeling mellow and relaxed and satiated by a marvelous piece of music. A classical introduction to Remedy is enforced by the jazzy piano and guitar that gives a laid back mood to the song. The vocals are underscored by an ambient synth to give a cultured and sophisticated feel, reinforced by Peter’s most wistful vocal performance to date. A mellow vibe settles down over everything and you find yourself entranced by the calm nature that pervades each note as it plays out to a sophisticated close. The dramatic opening to Outside has a real sense of melodrama to it and a theatrical overtone which is embellished by the smooth tones of Peter’s vocal. The musicians deliver another intense performance and Mathieu is let loose to showcase his evident prowess. This is a fantastic marriage of melodic, symphonic and progressive rock to give the music a life all of its own and it is really impressive, just listen to the fiery solo and you’ll see what I mean. The cultured keyboard skills of Pat are always there to give structure and roots to these virtuoso musicians as they deliver stunning note after note. The last track on this thoroughly entertaining musical journey is Remain, eight minutes of melodic inventiveness where the listener is taken on a harmonic roller coaster ride. A fast paced track with an urgent rhythm, the music is again the focus for the listener as you find yourself drawn in to the world of Drifting Sun. Another great extended guitar solo segues into some intricate keyboard playing to add another highlight before the song and album close out and I’m left with a knowing smile on my face. Drifting Sun have perhaps added the final piece to the puzzle with Mathieu Spaeter and ‘Twilight’ is without a doubt the band’s most consummate and polished release to date. 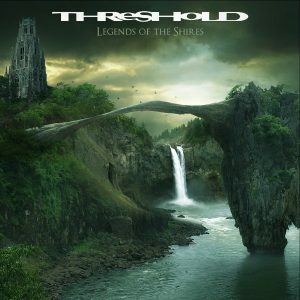 They deliver melodic progressive rock of the highest calibre and continue to mature and evolve into a very impressive musical outfit, I can’t recommend this highly enough. 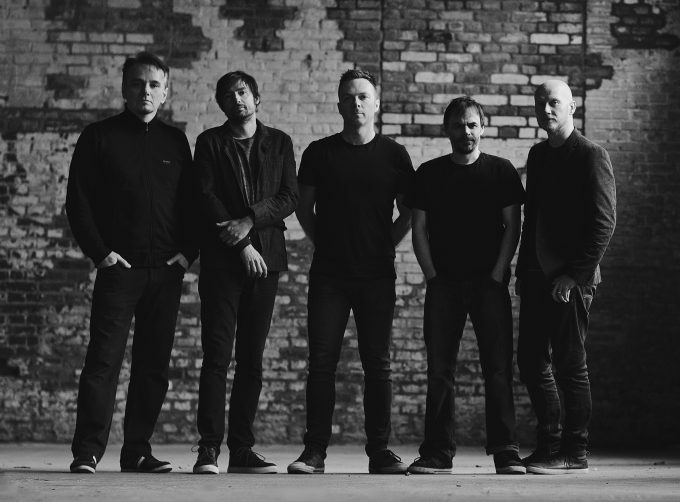 Darran Charles, Steve Kitch, Jon Sykes, Gavin Harrison and, of course, Bruce Soord are the current touring version of The Pineapple Thief. On the 11th February 2017 they played the Islington Assembly Rooms, touring in support of their ‘Your Wilderness’ album. It was a packed audience and was a much anticipated tour and album. Encores Snow drops / Nothing at best. 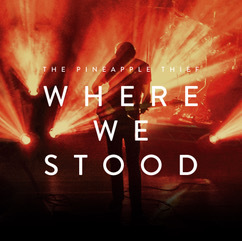 The show was recorded and will be released in various packages on the 6th October as ‘Where We Stood’. First the limitations. I had no access to the package in itself with the multitude of mixes and vinyl stuff which Kscope have produced as a rather excellent showcase of a live band in full flow in front of a passionate audience. I will review what I have seen which is the concert DVD footage and the documentary footage. After all, this is the actual product they are selling in its many forms. I am a music fan and believe the arena of the stage and live presentation is often the best judge of what a band is capable of in the purest form. A band can live or die on what it does on stage and putting out a DVD of a stage set is a brave thing to do for any band but it seems to be a common thing to do these days. 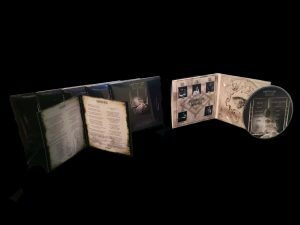 The set is mainly drawn from the recent album and shows the music in a new light with an additional dimension to the material. The band is completely together in this and are a very slick and tight outfit putting on a show worthy of a much larger stage and audience. Visually it is a delight and it is also of a very high quality sound (which is available as a standalone live album). It comes as close to letting you be there during the actual performance as any DVD can. The band as individuals get fair shares of shots and it lingers on key musical moments like solos, licks or breaks. High points for me are, obviously, Snow Drops and Take Your Shot but Exiles and the opening tracks Tear You Up and The One You left To Die also deserve special mention. The set flows like water and is a fine surrogate for those who missed the tour and also as a souvenir for those who have seen this line up recently. Bravely the new album fills the set list but has a different tone and quality to the studio version. Gavin brings a new feel to the older songs and adds to the live versions. Bruce is a great front man and connects to the audience well. This brings me to a couple of frustrations which I hope can be resolved with the DVD menu manipulations. The show is interspersed with interviews with the guys which ruins the flow of the concert. They could as easily been dropped into the additional 15 minute documentary of the back stage, pre and post show scenes. Instead I would have let the whole gig play and get the interactions of the band with the audience. I want to feel like I am at the gig and that gets broken up. Having said that it is relatively minor gripe for what is a great visual presentation of a great band in full flow. For fans it is an essential purchase but also if you have even a slight interest in good intelligent music then buy it and see what ‘good’ looks like as well as sounds like. ‘Epiphany’ – now there’s a good word, it brings to mind realization and the awakening of the mind to something new. 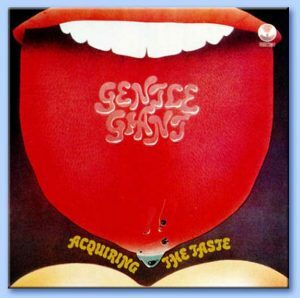 It can apply in all walks of life and situations but today we are using the word in relation to music and, in particular, the 1970’s legendary English progressive rock band Gentle Giant. I must admit to being slightly miffed and betrayed by my prog-loving friends who have harped on about the relative merits of Yes, Genesis, King Crimson and Van Der Graaf Generator (to name a few) with ne’er a mention of Gentle Giant, their educational skills have been found wanting in this case! It’s not that I’d never heard of the band but that it was almost like rumours and last minute thoughts when the questions were asked about the great early prog bands. It was only when I was sent the promo of the Gentle Giant retrospective ‘Three Piece Suite’ that I really discovered the talents of this quite remarkable group of musicians. ‘Three Piece Suite’ is a specially curated selection of songs and compositions from the band’s first three albums (‘Gentle Giant’, ‘Acquiring The Taste’ and ‘Three Friends’) presented in both 5.1 surround sound and stereo, all remixed by Steven Wilson. The fact that there are only 9 tracks is due to the fact that these are the only songs known to exist as multi-tracks. Also included is a pre-debut track also remixed by Steven Wilson. The undoubted re-mixing talents of Mr Wilson are put to excellent use on this album, adding extra layers to the tracks and subtleties never heard before. Add in the exhaustive liner notes by the incredibly knowledgeable Anil Prasad and you have a package worthy of long time fans of the band and those that are relatively new to them, like myself. The first three tracks are all taken form the band’s debut release in 1970, ‘Gentle Giant’. Giant is a mighty bassline driven piece of jazz/prog which could only have come from the 70’s and, the band freely admits, is hugely influenced by Zappa. It is the first part of a creative manifesto for the band and is a bundle of nervous, almost psychedelic energy. With a definitive ‘wide-eyed’ vocal delivery it has an identity far from the likes of Yes and Genesis. Next comes Nothing At All, a nine-minute epic that opens with a delightfully simple acoustic guitar melody before alternating with a Sabbath-esque guitar riff and contains a classic chorus line. The story is that the recording wasn’t going so well until a break for a trip to the pub seemed to focus everyone’s mind on the task at hand and the three-and-a-half-minute drum solo and incandescent guitar would seem to confirm the tale at hand! Again, to my ears, this song is very different to what was originally considered progressive rock in those days and is what is really drawing me to the band. 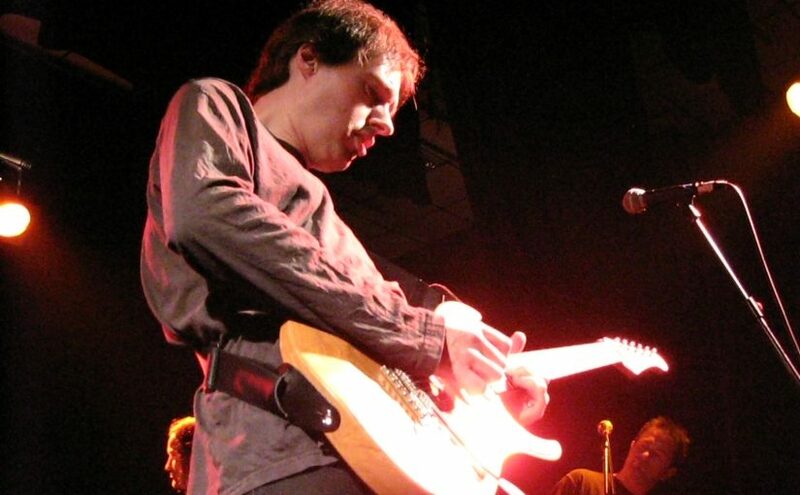 Highly inventive guitarist Gary Green came from a blues background and that is wholly evident on Why Not?, a track where the band are saying ‘Why not try something new as opposed to something commercially successful but that you’re not happy with?’ Edgy and funky with elements of orchestration and a passionate vocal, it is highlighted by the inspired solo and closing 12-bar blues-rock jam which showcase’s Green’s superb playing perfectly and has been on permanent repeat on my stereo. It is complex and maybe even crazy with some mind-bending guitar playing and uses 32 instruments in total. You almost feel like you’ve been affected by a legal substance while listening to it, it is ordered chaos but utterly captivating and mesmerising in places. I challenge you to listen to this and not have an inane grin creep across your face the further you get into the song. A wonderful piece of music that shows the confidence and self-belief that was growing within the band, the scope of their ambition seems to have no bounds. 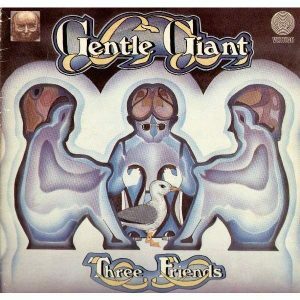 1972’s ‘Three Friends’ contributes four tracks to this collection and was the album where the band took over all production duties from Tony Visconti and where new drummer Malcolm Mortimore joined. A more sentimental album which is evident in Schooldays, a song that focuses on the titular characters from thew album and where, as children, their lives care carefree and their hopes and ambitions were the stuff of whimsy. Lush and choral with some excellent orchestration, it is true progressive rock as a storytelling medium and has a whimsical feel as you look back on life with sepia tinged nostalgia. Peel The Paint takes a low key symphonic opening and leads it into hard-edged, heavy riff led, rock. The track is about peeling back the layers to show that even the calmest, most moral people can turn into anger-fueled monsters of hate. 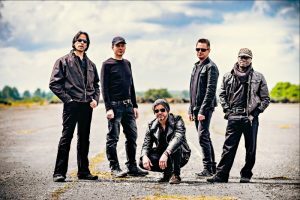 The music is dynamic and powerful and the vocals have the requisite fervor and intensity, intelligent progressive rock fused with high energy blues and heavy rock with a hypnotic guitar solo thrown in for good measure. The finale of this collection is Mr Class and Quality which segues into the title track of the band’s third album, Three Friends. The first part is an involving and complex song with a convoluted theme and intricate rhythm, it never seems to sit still with its skittish nature and sci-fi interludes. Yes, to a certain extent, it is classically trained musicians showing off but, when it is done this good, do you really care? The segue brings around a much more choral focused and anthemic track with sumptuous harmonies and an expansive sound driven by an elegant bassline, musical rapture indeed! Freedom’s Child was a song that was written in the band’s first sessions in 1970 and yet didn’t make it onto the debut album. Originally written with a TV program in mind, the words were changed and a stylish vocal harmony added. To my ears, the use of a violin and this Beach Boys-like harmonies give it a sound non unlike early Kansas, it also has an innocence to it which was never replicated on any recorded work. For completeness, the CD also has a Steven Wilson 7″ edit of Nothing At All which, while a good track in its own way, seems to lose some of the fee of the full length version. 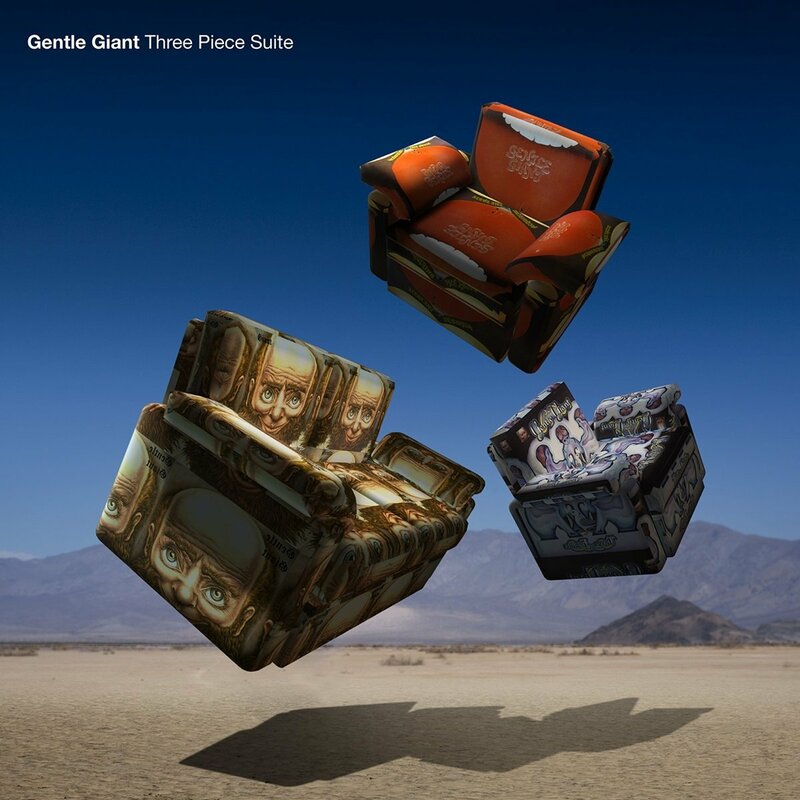 As musical epiphanies go, ‘Three Piece Suite’ has to be up there with the best. A band that really deserve more recognition have been brought to the forefront by Steven Wilson’s remixes but the brilliance and originality of the music was always there. A great package for long-term fans and those new to this wonderfully innovative collection of musicians. 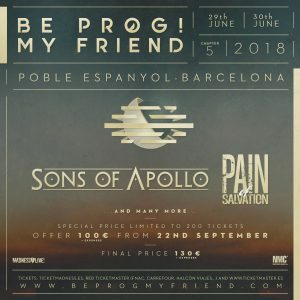 Named as the ‘Event of the Year’ at this year’s Progressive Music Awards, Barcelona based festival Be Prog! My Friend is set to return in 2018 for its 5th edition. Having played host to the likes of Opeth, Steven Wilson, Anathema, Devin Townsend, TesseracT, The Pineapple Thief, Magma, Agent Fresco, Camel, Meshuggah, Katatonia, Riverside, Ulver, Animals as Leaders, Ihsahn, Alcest, Jethro Tull and Marillion the festival will take place on 29th and 30th June next year. Held in the beautiful open air surroundings of Poble Espanyol – a huge stone built architectural museum – the site is one of the most important and striking landmarks of tourism in Barcelona. Whilst by day the Catalonian hotspot may play host to some of Barcelona’s most interesting historical articles, by the end of June it will instead play host to some of the world’s finest progressive artists. The first two bands to be confirmed for next year’s festival are Sons of Apollo and Pain of Salvation. 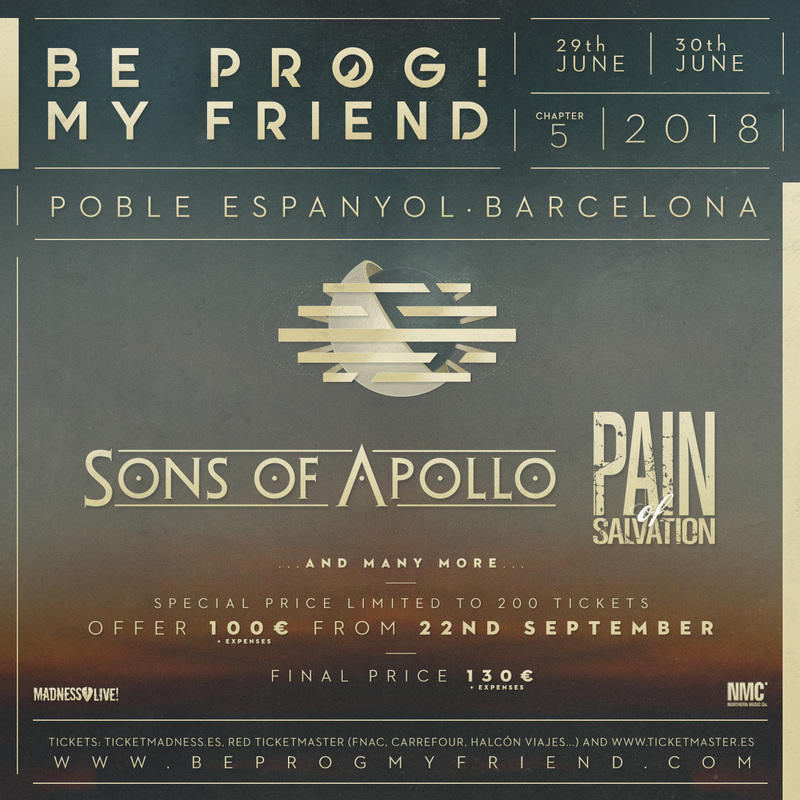 ‘We are very pleased to share with you the first two bands for the 5th Be Prog! My Friend festival. Sons of Apollo are a supergroup featuring Mike Portnoy, Derek Sherinian, Ron “Bumblefoot” Thal, Billy Sheehan and Jeff Scott Soto who have joined forces to create this amazing project. This is the first European show they’ve announced. 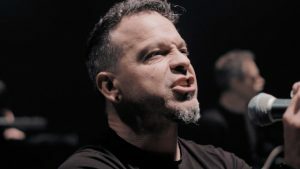 They will release ‘Psychotic Symphony’ next month but if you have listened to their song “Coming Home” you know that this is a supergroup who can create brilliant music to back it up. This is really a very special opportunity to see all these names on the same stage. Joining them are Pain of Salvation who recently released their colossal album ‘In The Passing Light Of Day’ which has made them a must see in the progressive world. Seeing them live is simply a blast so for the festival next year we needed to have them play. A limited number of 200 tickets are on sale now priced at 100 Euros before rising to the final price of 130 Euros. 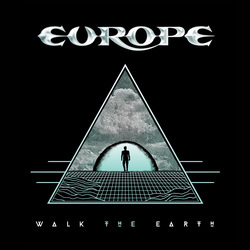 EUROPE is pleased to announce the release of their title track and first single “Walk The Earth” from their up and coming new studio album WALK THE EARTHout October 20th. If EUROPE’s 2015 album WAR OF KINGS was the album that made the rock world realise what a formidable act EUROPE had become then WALK THE EARTH is the album that is set to establish the band as one of the most exciting contemporary rock acts of current times. 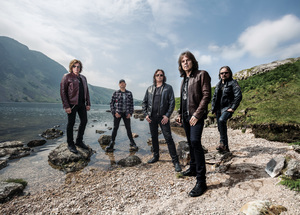 “We’re simply a different band today,” says lead singer Joey Tempest. 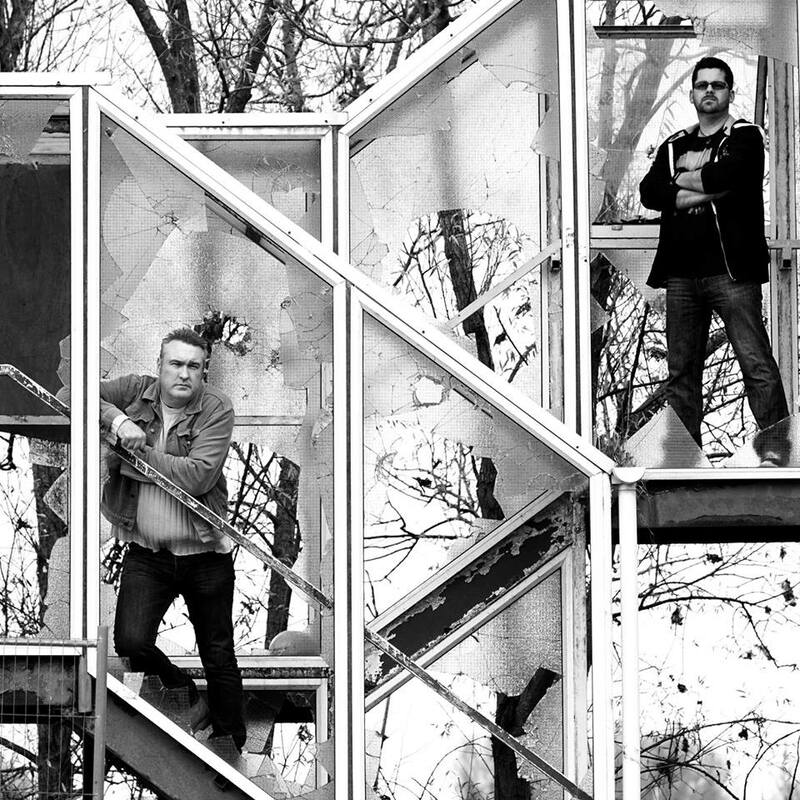 “Ever since we started up again in 2004, we have constantly explored our limits and new parts of our musical universe. After around 1,000 shows, we feel comfortable just improvising, jamming and pushing our lyrics and songwriting with much more ease. We have now been together recording and making albums longer than the early period of the band. Five albums in the ‘80s and ‘90s. Now six records with WALK THE EARTH. When we started up again in 2004 we all agreed to think ‘long-term,’ to take the long road and build up a new relationship with listeners and media. We all agreed on writing together, owning our music, and license it out to labels that really care and support us in the long run. “We also agreed to not look back! And never stop looking for that deeper expression. We don’t have much in common with our contemporaries from back then. We have taken a different path, making sure we are constantly moving forward. We have little regard for outside influences and opinions. In order to enjoy this new journey and feel creative, it needed to be completely on our terms. “In a EUROPE live show, there is of course some room for nostalgia, but in the studio there is none. Every album is a reaction to the one before, a new journey a new adventure. The music of a rock band needs to constantly move, challenge, upheave, evolve or the band will automatically become a nostalgia act. We are proud of our past and previous albums, but we simply can’t identify, recapture, emulate any of it. We simply can’t write like that even if we wanted to. We are a new act with a different expression. The new album WALK THE EARTH will feature original artwork by famed Los Angeles artist Mike Sportes of Filth Mart. “We were in the studio a few days into recording and Dave (Cobb, Producer) comes in wearing this very cool T-Shirt with one of Mike’s designs on it. Immediately we knew we had to check Mike’s other work and have him come up with an exclusive design for us based on the vibe of the album. We are very proud to have his amazing artwork as the WALK THE EARTH album cover!’ – Joey Tempest on the appointment of Mike Sportes to do the cover. From the anthemic sound of the opening track “Walk The Earth” to the heavy vibe that is “Haze,” from the instant melody of “Election Day” to the lyrical content of “Kingdom United,”WALK THE EARTH is the album that should see EUROPE rightly acclaimed as a band at the height of their powers. The wonderful melodies and depth of Joey Tempest’s vocals along with a powerhouse rhythm section and the guitar playing of John Norum, one of the great underrated guitarists. Norum’s guitar playing shines across the record. This is an album that is big in its scope and sound. Much like previous album “War Of Kings,” WALK THE EARTH is an album that has instant appeal but is also an album that needs to be lived with, in order to uncover it’s depth. The album was recorded at famed Abbey Road Studios in London with Grammy@ winning producer Dave Cobb (Rival Sons, Shooter Jennings, Jason Isbell, Chris Stapleton). Late 2016 saw EUROPE perform a series of “The Final Countdown Anniversary Shows” across Europe – culminating in a show at The Roundhouse in London. The show has been immortalised in a July 2017 DVD release The Final Countdown 30th Anniversary Show – Live at the Roundhouse. Preceding the landmark event, fans were also treated to a live performance of EUROPE’s last album, 2015’s WAR OF KINGS, a release which re-established them as one of the top rock bands in the world. Since forming in 1979 EUROPE have sold over 25 million albums, toured across the world and become one of the greats of modern rock music. The bands all conquering THE FINAL COUNTDOWN album has alone sold over 15 million copies worldwide and the single of the same name was #1 in 25 countries. We move into the autumn and the new releases are starting to roll in for the new season after a fairly quiet summer. The Naughty Pachyderm is no exception to this seasonal pattern. I expect a whole raft of new and exciting music from all corners in the coming weeks. 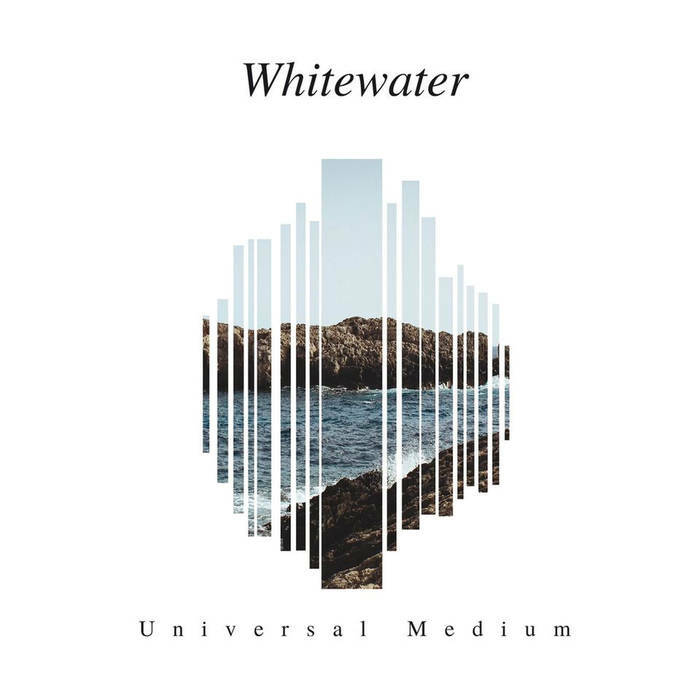 The first on my list for autumn is this new album from Whitewater – ‘Universal Medium’. 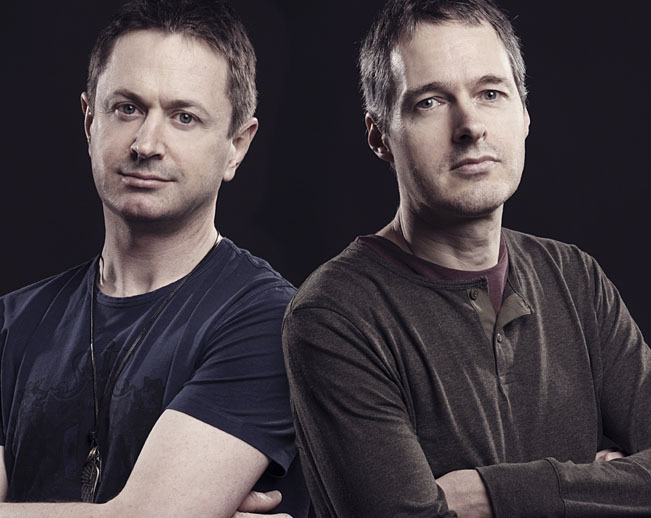 Whitewater is the brainchild of singer and multi-instrumentalist Stuart Stephens and percussionist and programmer Paul Powell. I am going to be honest and say until this landed in my inbox I knew nothing of the guys and what they did but this their second album after the debut ‘Obscured By The Sun’ in March 2015. In many ways this is a good thing as I had zero expectations of the music or the sound they were aiming for when making their music. My initial thoughts on first listening were that of a fine use of melody and sound to construct a soundscape from the keyboard which is very atmospheric, building layer by layer to the core of the pieces. This is very obvious in the first tack Light of Day evoking a sunrise drawing in an insistent bass line that drives into the vocals. Everything is understated on the track which brings a level of intensity inversely proportionate to the music. It has a tension to it which tells the story of the song, of the way we hide ourselves behind layers of emotions. Seconds Fade Away is in two parts, again an atmospheric short keyboard driven piece accompanied by acoustic guitar. It is an apparently simple introduction but has a strength in its simplicity going straight into part two which is the meat of the song, an unhurried examination of the race of life as each second of our lives fades away. The irony of the unhurried approach offsetting the speed of life could be the hidden message to savour life as we wander though the days, weeks and years blindly. You cannot fault the skill and writing of the construction the music but personally I would like to have the guitar higher in the mix when the solo hits at the end. Onto a very electronic music based Filtered Images which reminds me of the late 70s Tangerine Dream both in tone and quality but it also collides with mid period Porcupine Tree about halfway through. Call it a collision of 70s and 90s in a 21st century setting. At 9:33 minutes I would love to see it longer with greater exploration of the themes but it keeps the attention throughout the instrumental track with variations in atmosphere and tone. Fallen has a guest vocal on it in the form of Mike Kershaw, a fellow Pachyderm artist. The addition of Mike introduces a sinister layer to the track’ the theme of failure and the impact of failure on the Fallen of the song. The guitar has a huge part to play in this track with a superb solo which is both restrained yet exuberant. It has great atmosphere and draws the listener into the music. Moon Pulls Pt 1 to 4 is an epic piece that runs just short of 14 minutes long, again with Mike on guest vocals and is the strongest track on the album from my listening. It is a love song, one using gravity and the orbit of the moon and its affect as a metaphor for the emotional turmoil of that dread emotion. Musically it pulls together the guys as a whole and is as complete a way to show what they can do as a band as any other track. It has the layered keyboards and it is not an insipid traditional song to the woes of love but a sincere exploration of the feelings. I rarely talk about all the tracks on an album I review but give a flavour of the album and try to leave the buyer a reason to find out about the rest. This release is no exception as all 9 tracks have much to offer any listener who cares to spend their money on this release. 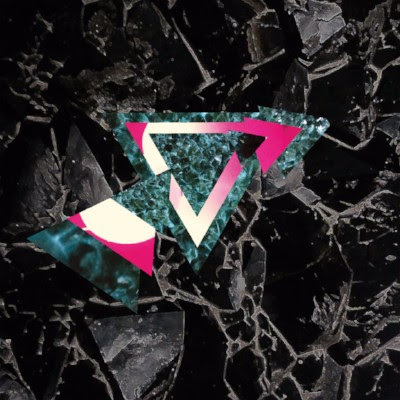 I will say this, ‘Universal Medium’ is album that from play one is instantly familiar but also stands repeated plays as you plummet the depths of the construction of the music and the many layers the guys have put into the album. There is no thrash or pastoral sound to Whitewater, they are measured and careful which is reflected in the intensity of the music, yet it can be played on a superficial level in the background and still break through to the listener. For fans of classic Floyd, Electronica, Porcupine Tree there is much to gain from this album. I am off to find the rest of the back catalogue and check it out. “Seconds fade Away” is in two parts again an atmospheric short keyboard driven piece accompanied by acoustic guitar it is an apparently simple introduction but has a strength in its simplicity going straight into part two which is the meat of the song which is an unhurried examination of the race of life as each second of our lives fades away. The irony of the unhurried approach offsetting the speed of life could be the hidden message to savour life as we wander though the days, weeks and years blindly. You cannot fault the skill and writing of the construction the music but personally I would like to have the guitar higher in the mix when the solo hits at the end. Tickets for the new show go on sale at 9am Friday 22nd September. The last remaining tickets for the other shows are available from usual agents. Prior to the tour, Steven releases another track and brand new video. One of the many highlights of Steven’s recently released fifth album To The Bone, Nowhere Now is a gloriously soaring paean to the joys of everyday escapism. 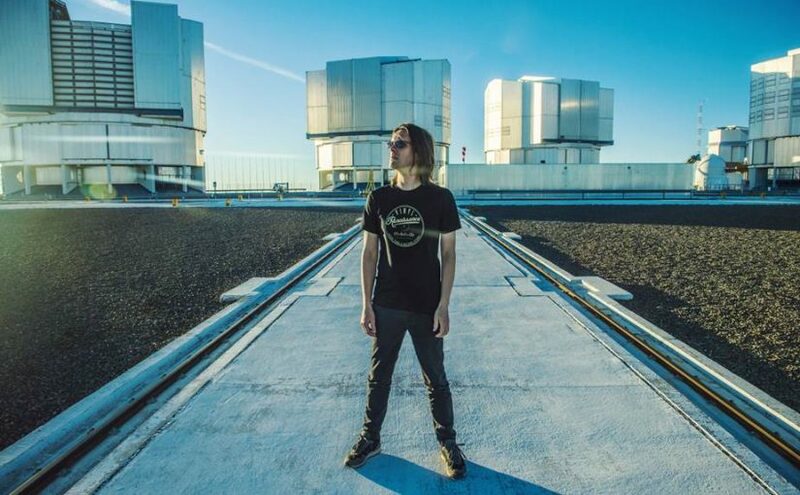 The video for the track was shot on location at and around Atacama Large Millimeter Array (Alma) in Chile – the world famous, high altitude radio telescope array. The video was directed and edited by Steven’s long time visual collaborator Lasse Hoile.